The competition in the market has increased abruptly. Right now, every eCommerce store wants to rank first on the search list. The 2011 report conducted by Optify stated “Websites ranked number one received an average click-through rate (CTR) of 36.4%; number two had a CTR of 12.5%; and number three had a CTR of 9.5%”. Thus, the figure clearly states that the ranking of the website plays a vital role in the driving traffic to the website. The better is the ranking, more is the chances of the people exploring your website. In order to improve the eCommerce store rankings, the owner must try to take effective steps to achieve the target. In this scenario, the utilization of SEO comes into play. If we take a good look at the current standing of the website ratings then, we can easily realize that most of the top rated sites are already using SEO services in order to improve the ratings as the competition is too high and one can’t simply rely on the website to do better. The world of the internet is too large and in order to design a website which is perfectly suited for customer’s interest is near to impossible. The trend in market changes so does the likes and dislikes of the customer. This affects the website rating as the customer may switch to other web store to make a purchase. Thus, SEO services are a must require a tool for every eCommerce store who wants to lead the market. If you are missing a strong SEO strategy than you are surely missing a lot in terms of brand impression, clicks and sales. Let us discuss some of the aspects of the SEO that every online marketer needs to consider. One of the important things to look out for before optimizing the most important pages of the web store would be Keywords. The owner must always give a brief look towards relevancy, search volume and ranking difficulty. The keyword selected for the main pages of the website must be highly relevant to the product or brand. The owners must also be careful to not use keywords that are too broad or competitive as it will result in very high bounce rates and low conversion rates. Why would a customer want to wait on a store page when they can easily get the same product from different web store? Thus, the web store performance must be checked frequently and tried to make it more responsive. According to a survey, “Around 40% of the customers abandon a site that takes more than 3 seconds to load. Thus, the owner must try not to lose customers due to poor store response. If the web store performance is poor, the customer will move to another fast responding web store. It is one of the SEO aspects that results in making the customers happy. If the customer finds the web store usable and customer friendly than they are sure to re-visit the web store and make another purchase. The usability of the website means to provide the customers with the easy access to the website, with simple checkout option, easy way to contact the store and providing assistance at every possible instance. The web stores can use an option of live chat to make the usability of the web store more accountable. The structure of the store must be designed in such a way that the customer has to make use of minimum clicks in order to reach from the home page to the product page. The web store owners can always use SEO services in order to minimize the efforts made by the store in order to provide the customers with the products they want. Most of the time, the keyword selection adopted by the eCommerce store must include all the products in the main category and the sub-category. Social media is the new trend. Thus trying to import the links to different social media on your website helps the store to grow a lot. 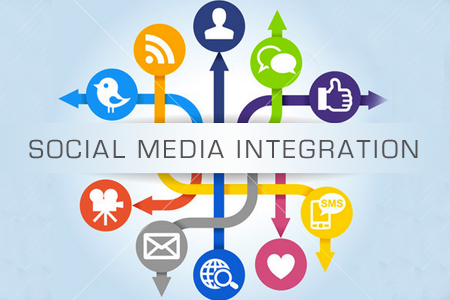 The inclusion of the social media links and blogs can be shared by the customers to the people they know and thus the popularity of these social media platforms helps the web store to improve the promotion and at the same time make better conversions. The important point would be importing the customer’s reviews to the product page. It helps other customers to clear their mind about the product. According to the Internet Retailer, “The conversion rate of the web store can be increased by 14-70% by including the customer reviews on the web store”. Also, about 70% of the customers read the review before making a purchase. Thus, reviews should be included. As the main page of the web tore can be optimized or targeted to focus on only one word. In this process, a lot of other keywords are left behind. The store can always rank for those keywords by using a web blog. The web blog can be used to target the keyword which can’t be covered on the main page. Thus, the blog quality must be good and it must connect the reader with the idea of the product or brand that the store owner wants to promote with the web store. The utility of SEO services in making the rankings and the presence of the web store is way too much. The web store owners can always switch towards the SEO services to provide a better and clear insight to the store. It helps in reducing the elements that may lead to poor web store efficiency. One of the best way to achieve higher conversions is by making use of the eCommerce services. Fix the SEO mistakes that you are making and ensure better performance.